With backgrounds in jazz and electronic music, Bugge Wesseltoft, Henrik Schwarz, and Daniel Berglund have individually established themselves as masters of cutting-edge improvisational music. 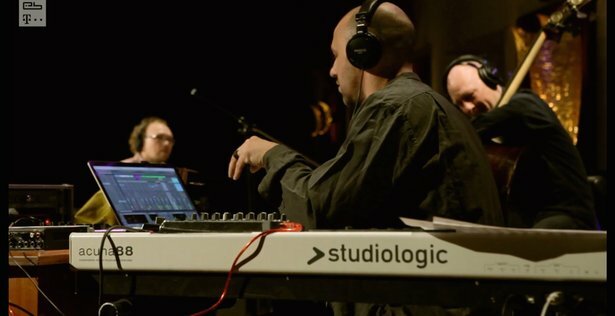 Working together as a trio, the musicians find inspiration in experimental collaborative techniques. With Wesseltoft and Berglund on keys and acoustic bass, respectively, it then goes to Henrik Schwarz to manipulate the others' playing in new ways. In sampling Wesseltoft and Berglund's playing, and looping it back at random speeds in Live, Schwarz sets a new challenge to the trio, resulting in an exciting and evolving performance. Make your own jazzy improvisations with Henrik Schwarz's Schwarzonator II for Max for Live. Learn about Archie Pelago, another jazz/electronic group.